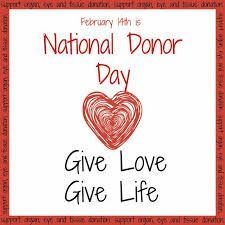 This is our assignment for the Aspire and Inspire sparkteam: February 14th is National Organ Donor Day. This day is a day to increase awareness about organ donation and the lives that can be saved. In the United States, there are more than 120,000 people waiting for a life-saving organ donation. Are you on the Organ Donor Registry list in your home state? Have you thought about being an organ donor? It's on my ID card as organ & tissue donor. Take it all! 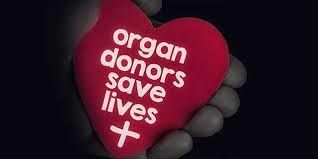 I am an organ donor. I am donating some organs I feel are useful. My mother is donating her whole body to science. I'm glad you brought it to our attention. It's so important. Great blog. I enjoyed the video. Thanks for posting the link. I had no idea that one donor could save the lives of so many people. blog and thank you for sharing the link. I also signed up as an organ donor when I got my driver’s license. That was a very informative YouTube video, Hope! Thanks for sharing it! I do too and yes, it IS important. I have it on my license. My granddaughter who had cancer when she was 9 started a bone marrow drive when she was 16 and got over 60 people in our small town signed up. Donors are the future for many.